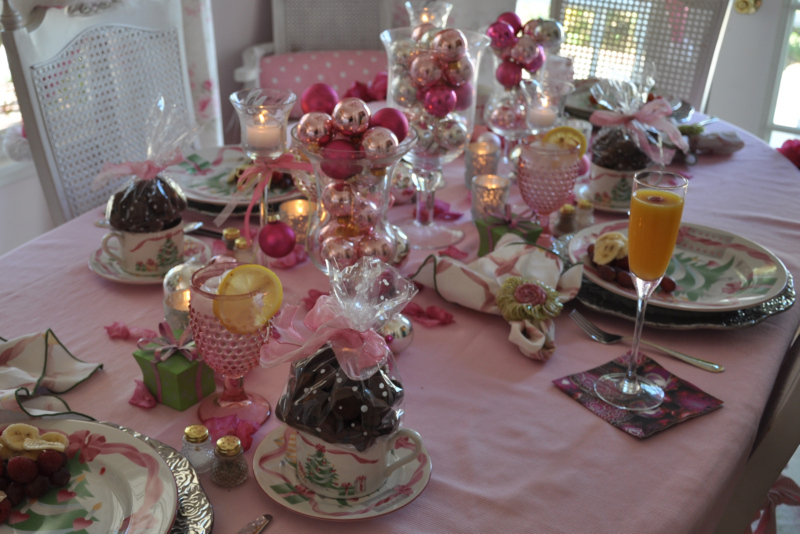 I had such a wonderful time at my friend Laura's home yesterday. She prepared a lovely brunch for us followed by some sweet coffee and....time. She graciously let me take pictures to share with all of you. I think I'll cut the chit chat short today and just show you her beautiful home. Isn't her attention to detail amazing? 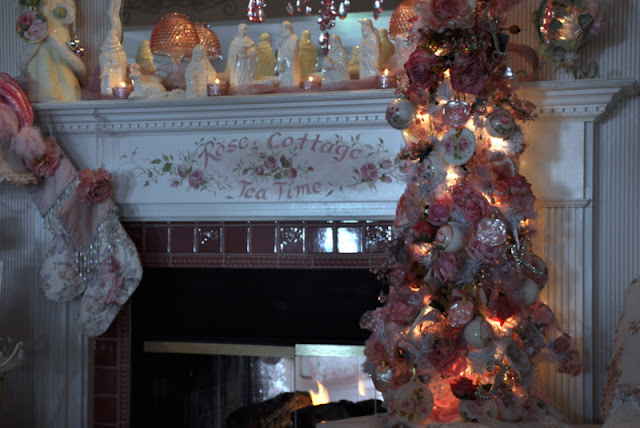 It's no wonder her home has been featured in several publications including Romantic Homes. Every time I visit her I come away with a renewed spirit and fresh inspiration to live life beautifully. 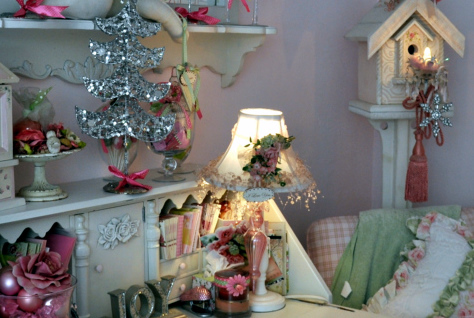 What's more amazing is that she is even more beautiful on the inside than her home. You are blessed if you have one or two ladies in your life who make you feel special. My cup certainly overflows with them. Oh you got a real treat. I am so glad you had time with your good friend. 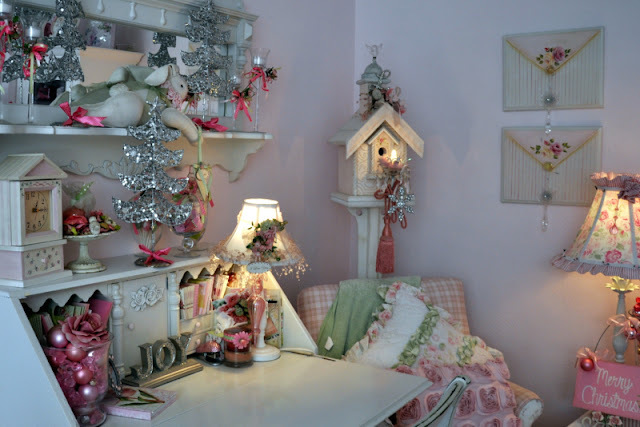 what a beautiful home...I love it...so romatntic and sweet!!! lucky YOU!!!! Enchanting is the word that comes to mind. Lovely.....so lovely. What a treat indeed!! You are blessed to have such special friends. Patty, thank you for sharing your friend's lovely home with us. 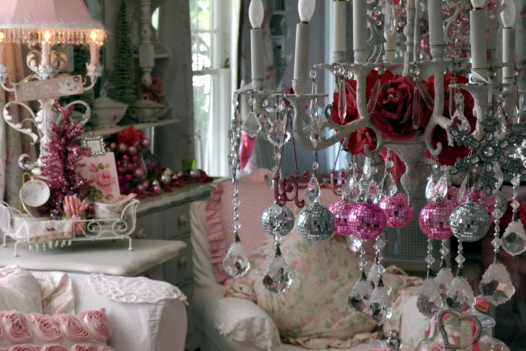 It certainly looks festive and very pretty. 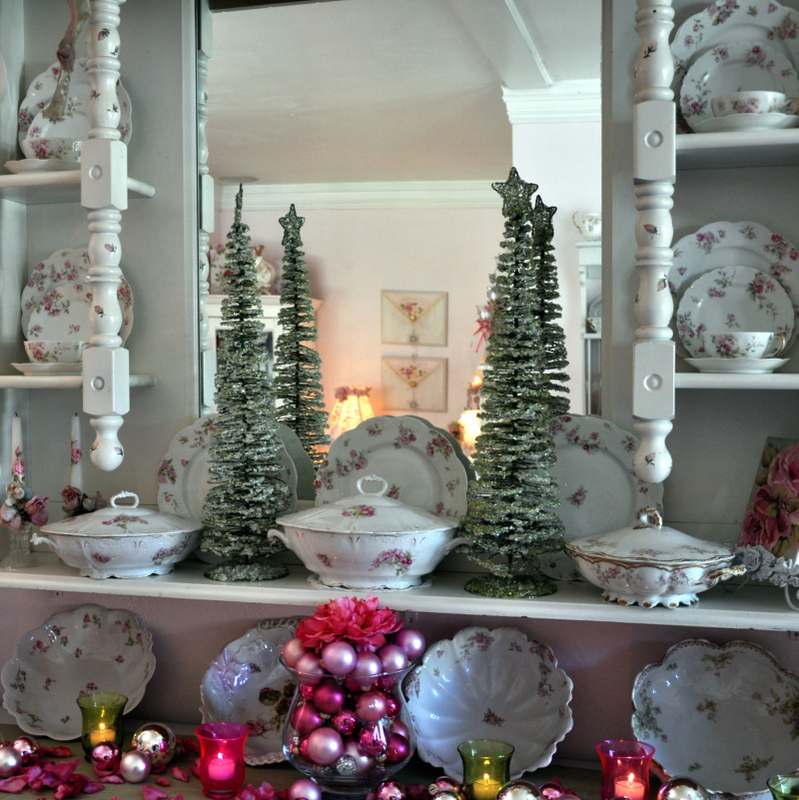 So very pretty.Any chance of finding out who makes those beautiful dishes?LOVE! How beautiful! I love romantic dreaminess, but most of all, it is a rare blessing indeed to have such a special lady in your life who is even more beautiful on the inside! 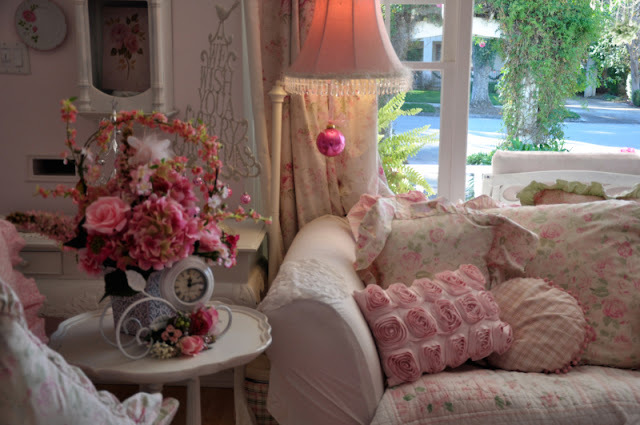 How I'd like to snuggle into the rosy armchair next to the armoire! You must have had such fun taking photos in your friend's feminine home. What a gorgeous home! I adore the lovely white floral china on what looks like a mirrored hutch. Your friend's home is beautiful and I can see why it has been featured in some magazines. 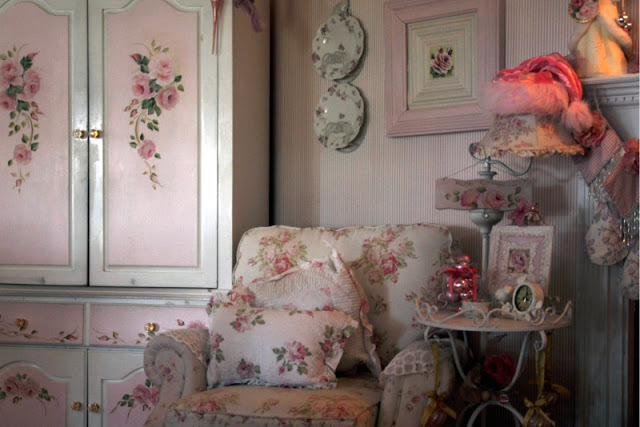 What amazing pictures of an amazingly pretty pink house! It is all so sweet and romantic and works so well. What a treat to see it, and thank you for showing it to us, Patty! 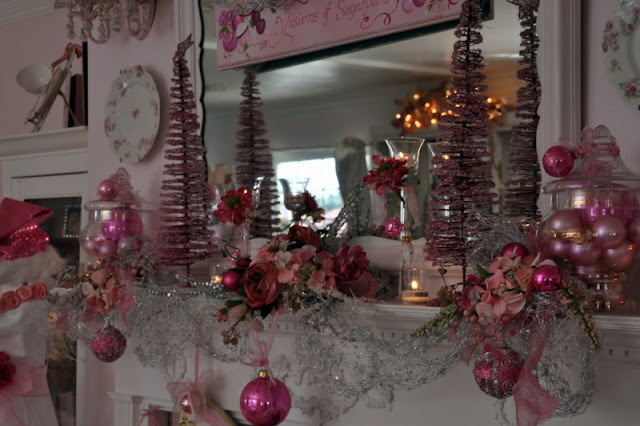 I think Pink is the happiest color...thanks for including us in your visit..such a cozy, romantic home.